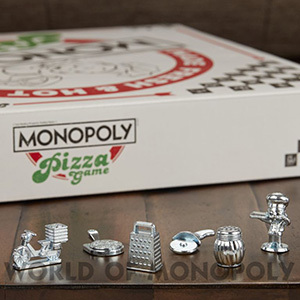 Who wants pizza? 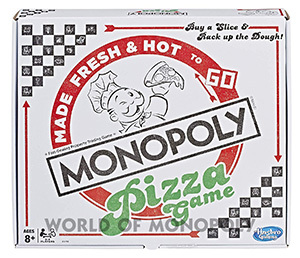 In this Monopoly pizza board game, players move around the gameboard, trying to buy as many types of pizza as they can -- from classic pepperoni or Spinach to Mushroom. 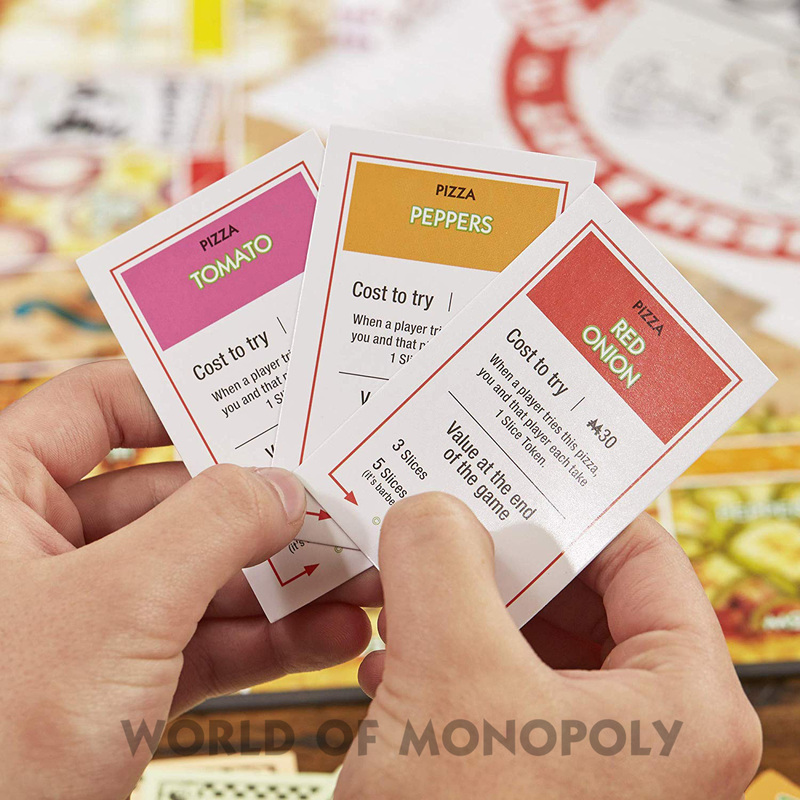 Instead of buying up properties, players aim to collect a color set, which corresponds to a Type of pizza such veggie love's, barbecue chicken or even Mac and cheese. A full set of flavors combines to make an awesome new pizza, giving those cards a higher value at the end of the game. At the end of the game, the player who collected the most pizza slices wins. The Monopoly pizza game makes a great gift for kids ages 8 and up, and is fun way to entertain the kids Whether you're stuck inside on a rainy day, or gathering together for family game night. Pizza-themed Monopoly board game: just about everyone loves pizza! 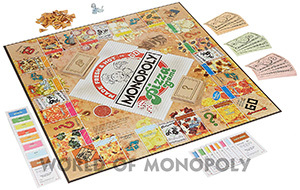 This pizza-themed game for kids ages 8 and up is a twist on the classic Monopoly board game. 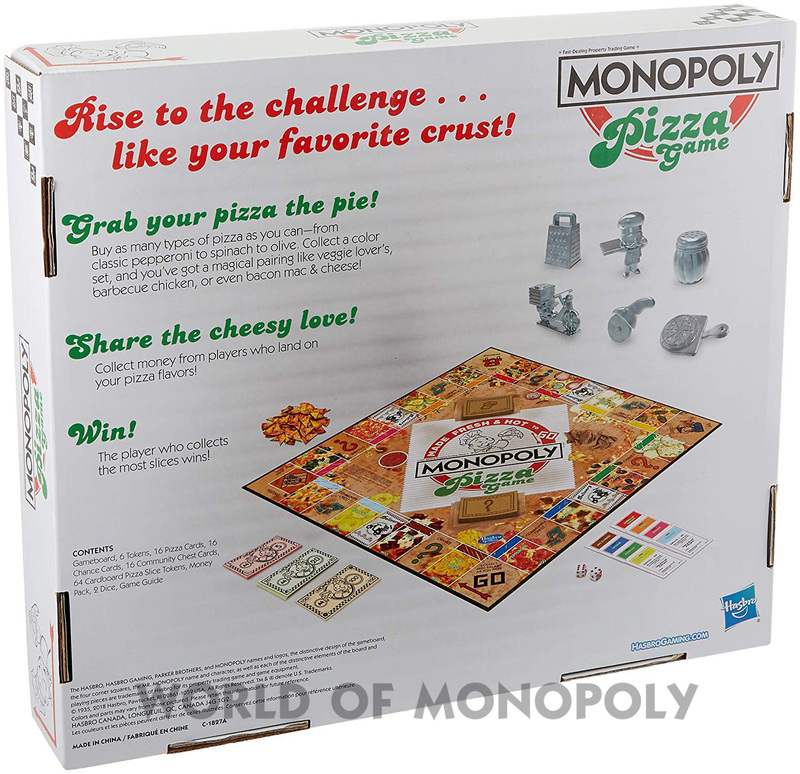 The packaging looks like a familiar pizza take-out box, and the game board features luscious-looking photos of pizza toppings. 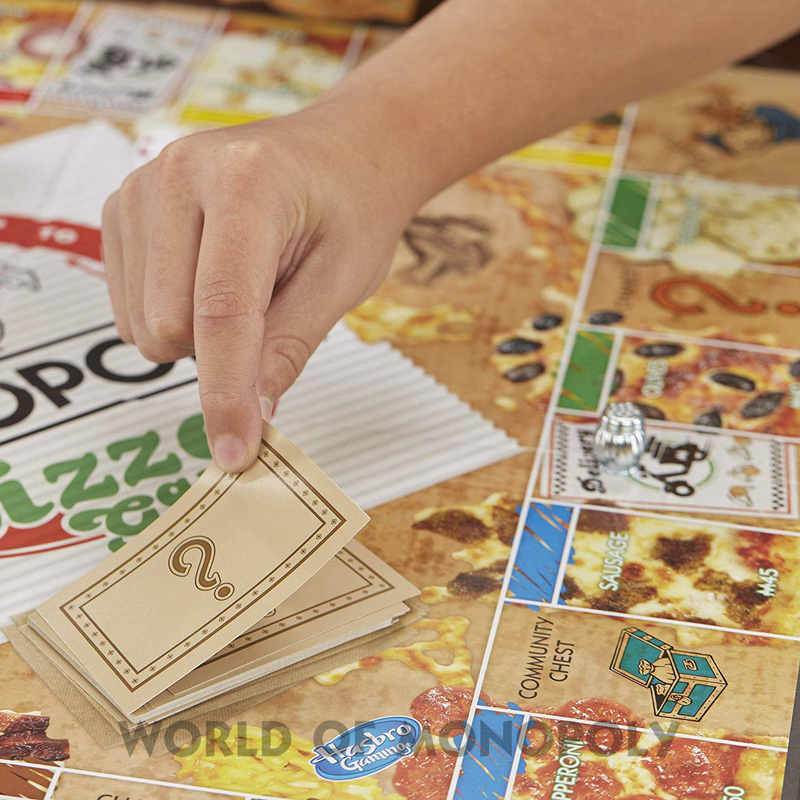 A pizza game for kids: buy a slice and rack up the dough! 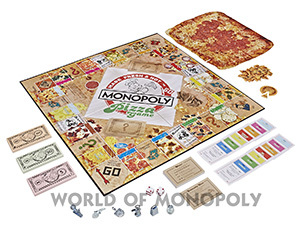 In this Monopoly pizza board game, instead of buying properties and collecting rent, players buy pizza! 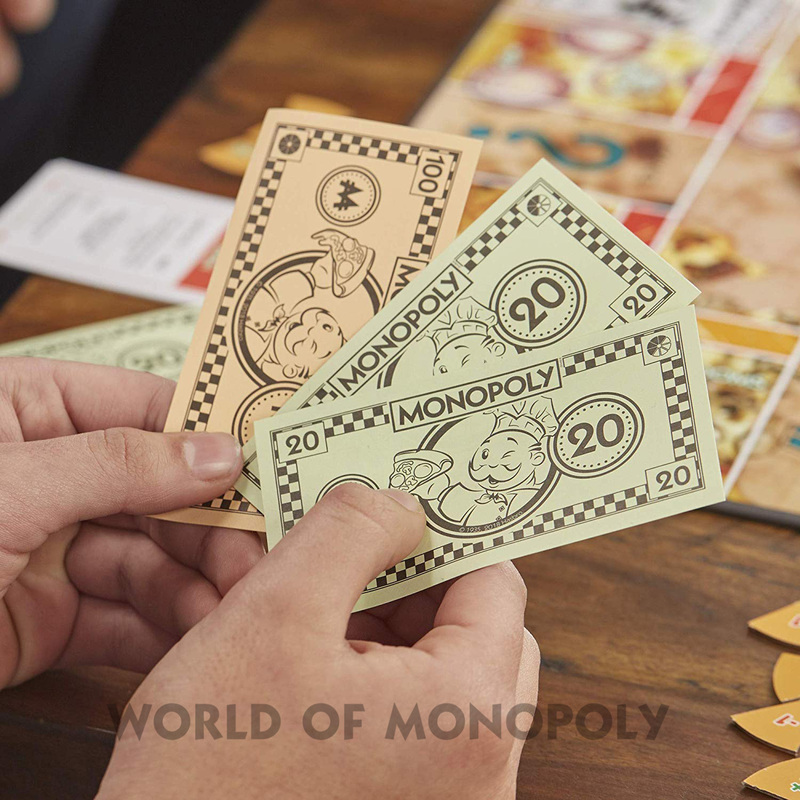 Each player tries to collect as much pizza as they can, buying pizza spaces and picking up slice tokens. 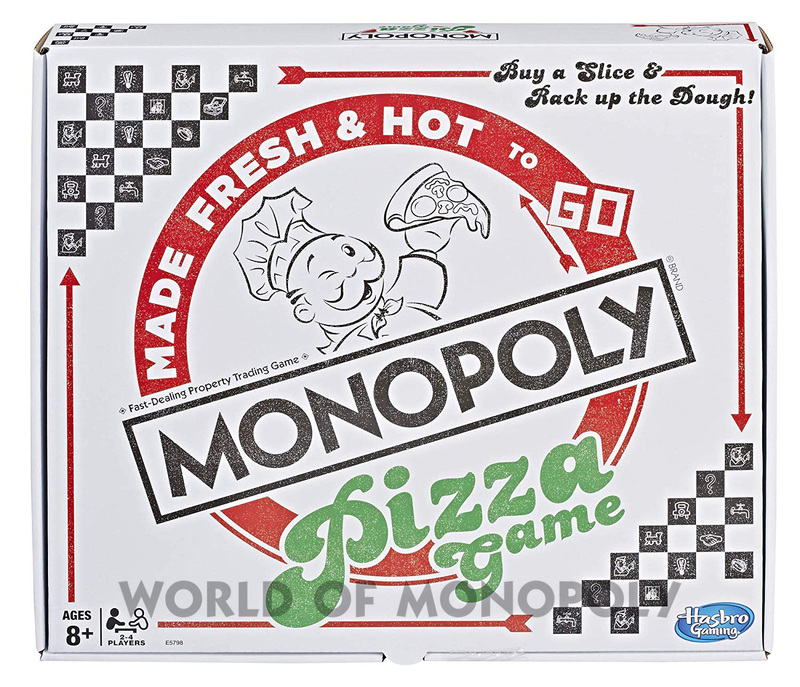 It's a great family game for kids ages 8 and up. Pizza-themed tokens: move around the game board Using one of the awesome pizza-themed tokens: cheese grater, pizza chef, cheese shaker, delivery bike, slicer, and pizza on a paddle. Share the cheese love: land on a pizza space and claim it! Players collect money from opponents who land on their pizza space; then they share a slice together and earn more slices. With chance and community chest cards, players can become pizza connoisseurs, or try something fun such as entering a pizza-making contest. 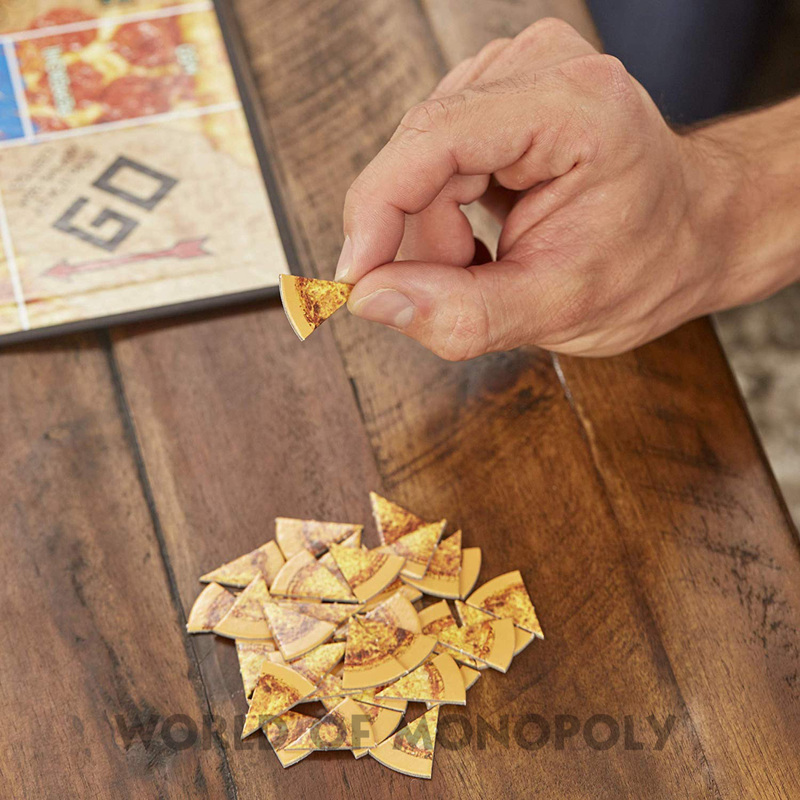 Collect the most pizza slices to win: the game ends when all the pizza spaces on the board have been purchased. 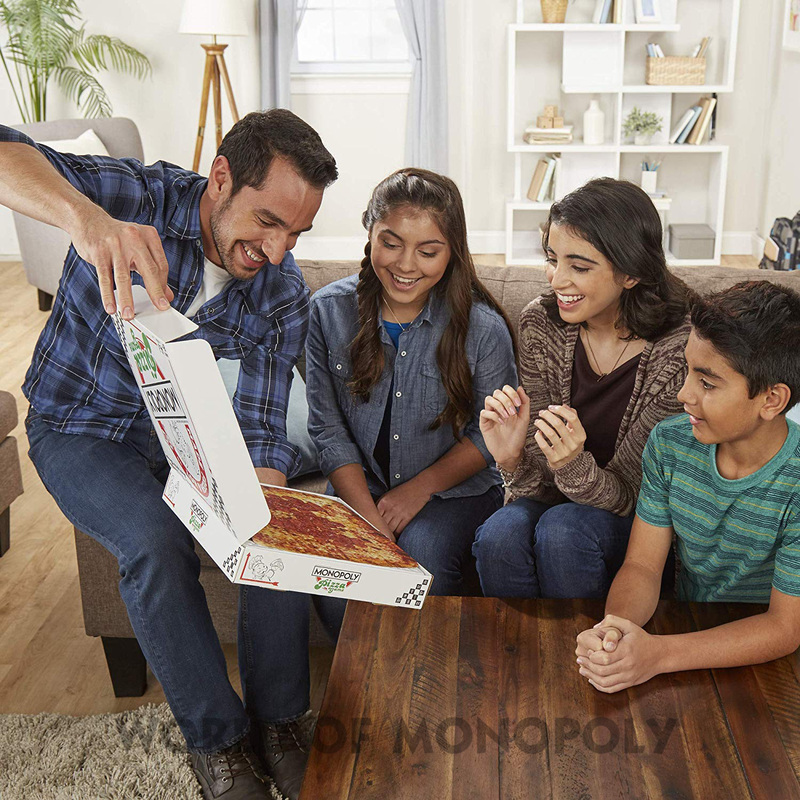 The player with the most -- and tastiest -- pizza at the end of the game wins.